From time to time, we all need a time off and only focus on ourselves. Getting relaxed is extremely easy thanks to the different spa treatments, and we’re sure you deserve to treat yourself after that much work. Luckily, there are many different spas in Caloocan City, so you can choose among a wellness spa, Thai spa, serenity spa or sanctuary spa, for example. At Infoisinfo we always work hard to be able to offer you useful information so that you can easily find the best products and services for you and your company in Caloocan City. We care about your wellness and we know what a difference properly relaxing can make for health. For this reason, we’d like to recommend you spend some spa days during your next holidays. Thus, we’ve prepared a list of the best spas in Caloocan City. 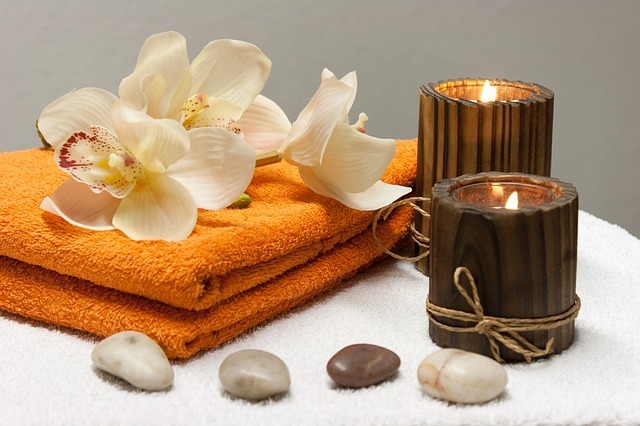 Whether you are looking a spa resort where to spend some days or just a day spa near you to get some massage therapy, you will find the best options among our list. 6/F Panorama Building, Rizal Avenue Extension. Caloocan City. Metro Manila. 200 10th Avenue, Grace Park. Caloocan City. Metro Manila. UNIT 80 F. RIZAL AVE. EXT. BET. 2ND & 3RD AVE. 045. Caloocan City. Metro Manila. 1ST-2ND FLR. UNION BANK BLDG, 357 RIZAL AVE. EXT. 068. Caloocan City. Metro Manila. 326 WEST, 9TH AVE. 061. Caloocan City. Metro Manila. 4/F ARANETA SQUARE RIZAL AVE. 076. Caloocan City. Metro Manila. 183 Rizal Avenue Extension Corner 9th Avenue. Caloocan City. Metro Manila. 168 4th Bet. 8th and 9th Avenue, Grace Park. Caloocan City. Metro Manila. 34A Josefina Street 4th Avenue. Caloocan City. Metro Manila. 94 J. FELIPE ST. 008. Caloocan City. Metro Manila. OLD GILMAR EXECUTIVE VILLAGE 168. Caloocan City. Metro Manila. STALL NO. M-46 MAYPAJO PUBLIC MARKET, MAYPAJO, 034. Caloocan City. Metro Manila. 124-130 GEN. SAN MIGUEL ST. 005. Caloocan City. Metro Manila. 480 NPC TALIPAPA 166. Caloocan City. Metro Manila. 598 A. MABINI ST. 005. Caloocan City. Metro Manila. 10th Avenue Corner A. Mabini Avenue. Caloocan City. Metro Manila. William Shaw Corner Biglang Awa Streets. Caloocan City. Metro Manila. 8 BIGLANG-AWA ST., 094. Caloocan City. Metro Manila. 2/F B-13 CAL. COMM'L. COMPLEX, A. MABINI ST. 016. Caloocan City. Metro Manila. 104 Chrysanthemum Sreet, Loyola Subdivision. Caloocan City. Metro Manila. 98 10TH AVE., WEST, M. ASISTIO ST., GRACE PARK, 063. Caloocan City. Metro Manila. 728 GEN. LUIS ST., BO. CAYBIGA, 166. Caloocan City. Metro Manila. STALL NO. 2, SANGANDAAN MARKET, SANGANDAAN 003. Caloocan City. Metro Manila.